MBSB forming ascending triangle pattern. MACD trade at positive region. 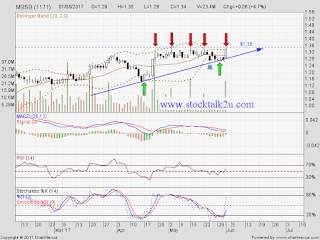 Immediate resistance @ RM1.35 level. Subsequent resistance @ RM1.42 level. Subsequent support @ RM1.17 level. 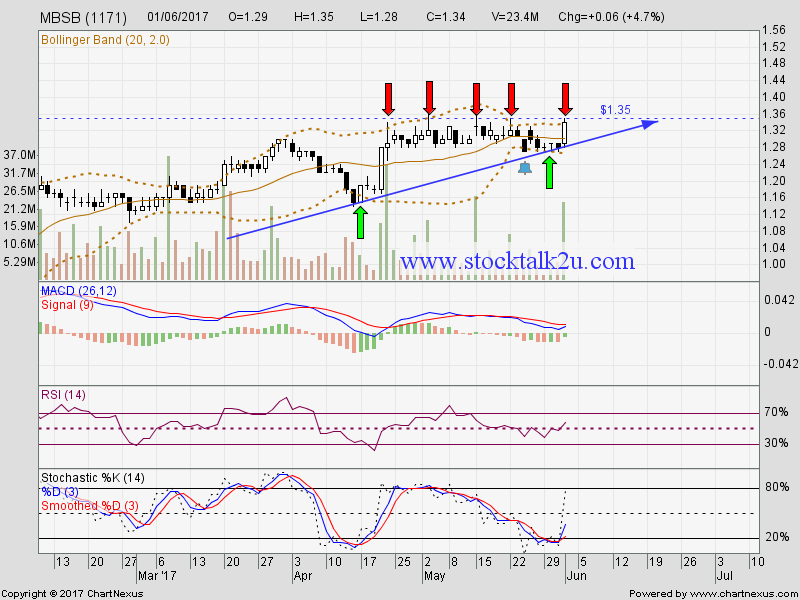 If breakout RM1.35 resistance level, higher high is confirm.